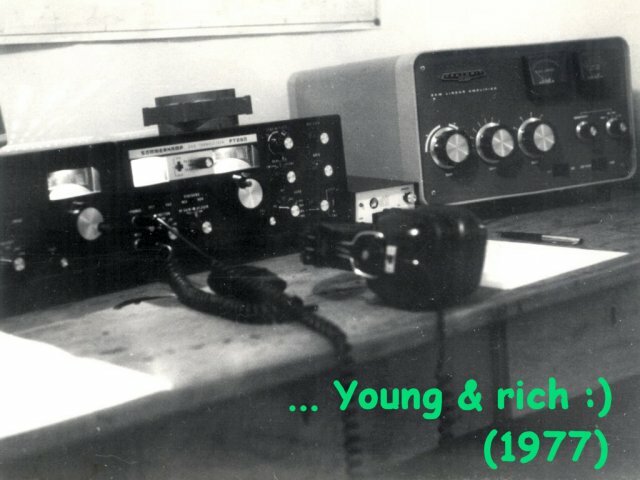 I was licensed since 1967 ("3rd class" operator, limited to 80 & 40m CW at the club station only, max. power 25W). 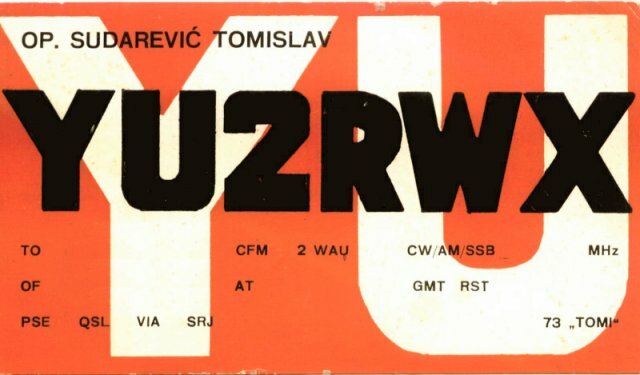 I was a member of YU2EJK (radio club in Virovitica, small town in the northern Croatia, now 9A1E). My first QSO was with YU3DBC, club station in Murska Sobota, Slovenia. It was a CW contact and it's still my favorite way of communicating by radio. I had a "2nd class" license since 1968 (all bands, 50W). My first callsign was YU2RWX. I started with a "clasic" homebrew transmitter for 80/40/20m (30W CW/AM with RL12P35 in PA, later replaced with PL-500) and an old Halicrafters S-38B receiver (desperately deaf!)... but it was incredibly fun and I enjoyed it. "First class" exam (now "Class A", or "Extra") I passed in 1973. 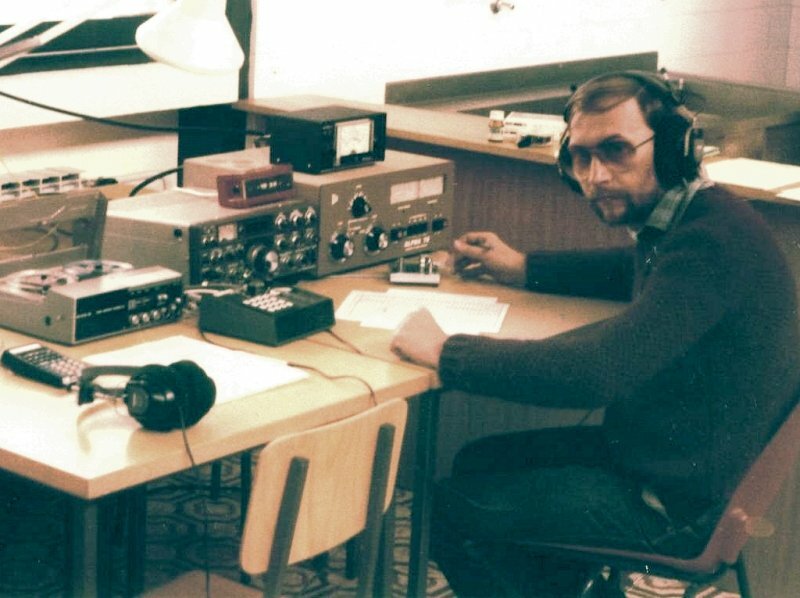 I'll never forget very strict exam criteria of our famous "Zika" YU2IN (SK), a wonderful, witty man, a real friend of all hams, the secretary of Croatian Ham Radio Asosociation. He performed this job with heart and very professionally. He was also known as a "terror" for all the examination candidates, so those who passed were entitled to be very proud. Few months later (after passing "Class A" exam) I bought my first modern transceiver, a Yaesu FT-200. No CW filter but the RX sensitivity was amazing, very quiet, excellent for DX! I felt like I got wings! 1976: Heathkit SB-220 arrived! (photo below). 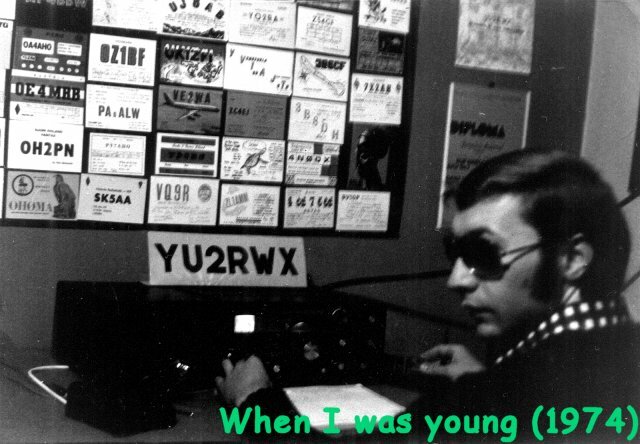 I moved to Zagreb in 1974 and became a member of YU2BQR (Radio Club Rade Koncar, one of the best clubs in the country at that time). There was always a lot of excellent operators, including many hams from other cities who studied at the University of Zagreb. Equipment was also very good and we often organized small "contest expeditions" outside the city to avoid urban QRN. 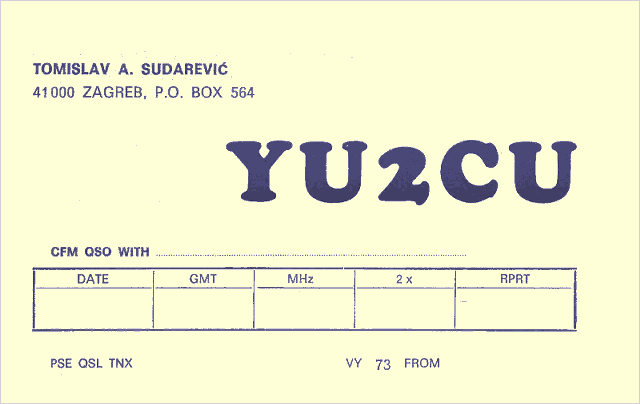 In 1977 I got my new callsign: YU2CU. I was "crazy" about contests. A dozen years I have often participated in contests (well, mostly local ones) and I've achieved several great results. Unfortunately, I never managed to set a good antenna system (especially for the upper HF bands). It was the main limiting factor and therefore I couldn't seriously participate in the big worldwide contests (the "real ones") so it remained an unrealized dream. That's why much of my energy and passion for contests was focused to the club contest team. 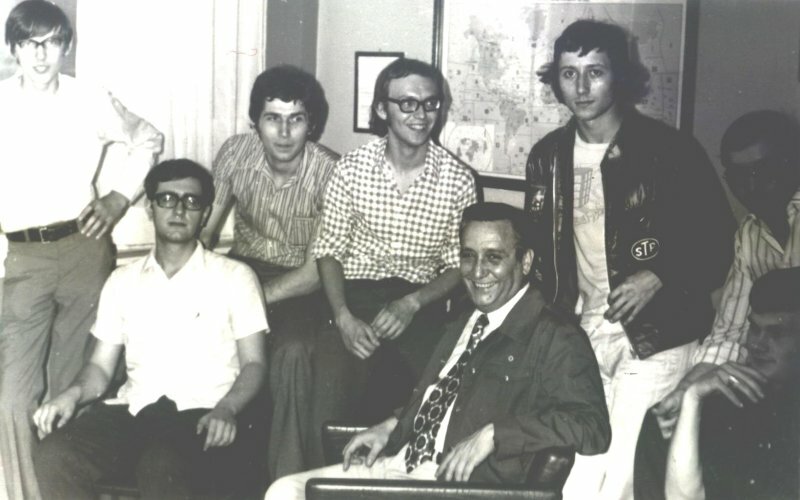 The photo above shows YU2BQR crew at some outdoor occasion, 1975. 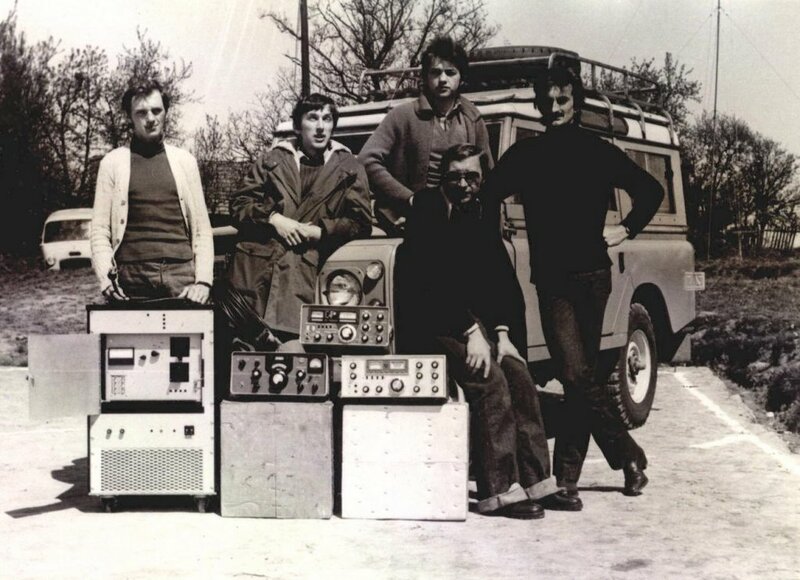 From Left to right: Danko (standing behind the amplifier with a pair of 3-400Z), Zlatan from YU4FDE, Milan (now 9A2KX), Dinko (now 9A2WY) and me with the sunglasses, sitting on the backup transceiver. As usual, after the contest we were very tired, but it was worth! Is there anything better than the feeling that we've just achieved a good result in the contest as a team? 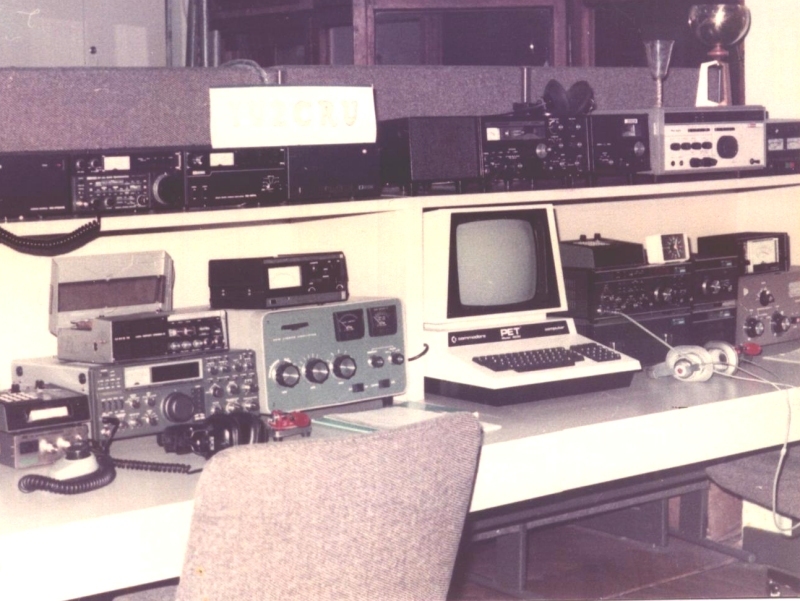 Friendly and cheerful atmosphere in YU2BQR club shack (around 1976). 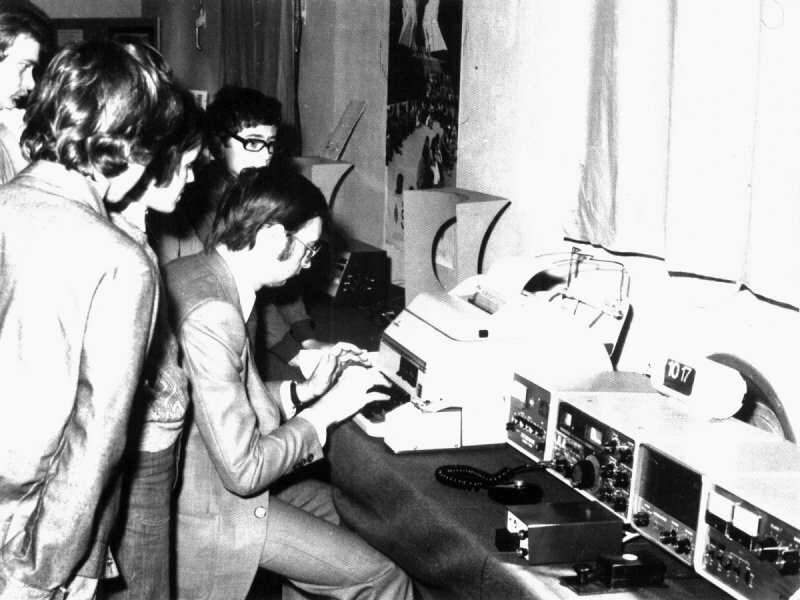 Below: a photo from "Ham Radio Exhibition" at the Zagreb Fair 1976. Here I demonstrated RTTY communications to young (or future) hams. In the early 80s we've established a new contest section of our club, with excellent equipment and group of selected and experienced operators. 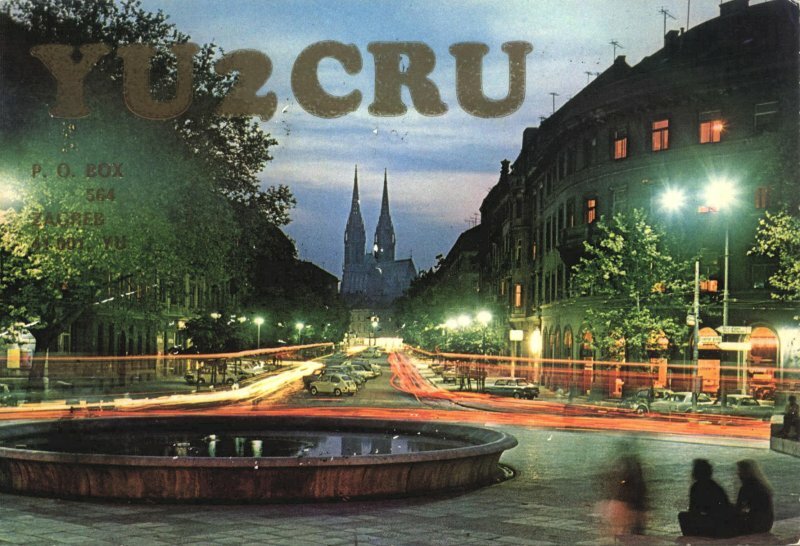 At first our call was YU2CRU and later, due to the very good results achieved, we get a real "vanity call" 4N2E. It was a great pleasure to work in such a team and in such good conditions. My last contest, around 1982. Behind the camera was Slavko YU2NW (excellent CW operator, now 9A2NW). Well, here I am today, expecting for my first SDR transceiver to arive (soon, I hope). Kenwood 690 is just temporarily in my shack (in fact, it's more like a small "radio corner"). TS-690 looks and works like a new one, but it's truly a radio of the past. It only helps to my ears (and to my heart, too!) to get used to the sounds of shortwave bands again. The small box on top of the 690 is a simple home made panadapter connected to my laptop. The image above is history. Farewell to analogue radio, it was great pleasure for years... But the new technology is so exciting! The new radio is on my desk now. It's a tiny Italian SDR transceiver, "ELAD" model FDM-DUO. After a few months of playing with it, I can say only this: Excellent RIG! I have a secondary location at the Adriatic Sea: it is the Island of Hvar, IOTA EU-016, IOCA CI-028, Maidenhead grid JN83HE. 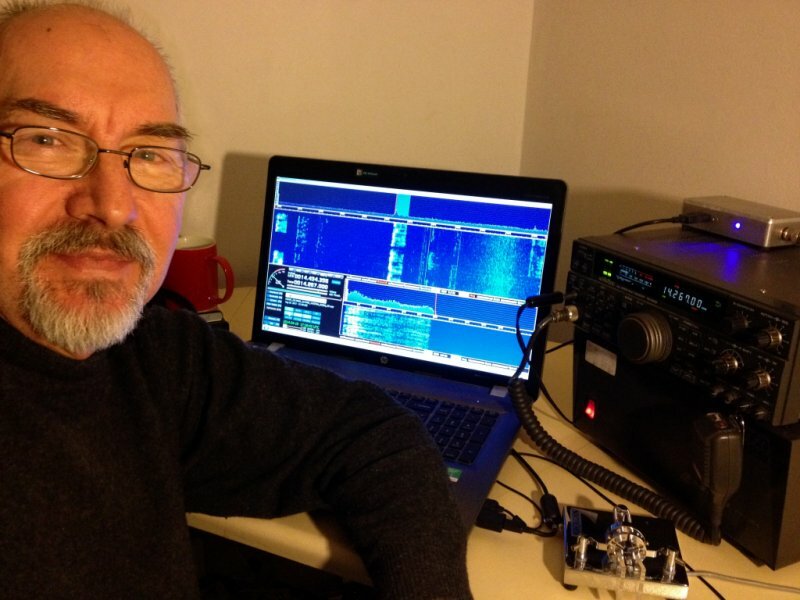 Since I retired I spend several months there every year and from now (spring 2014) I'll try to be active as much as possible on the shortwave bands, probably mostly on 7 and 14 MHz CW. 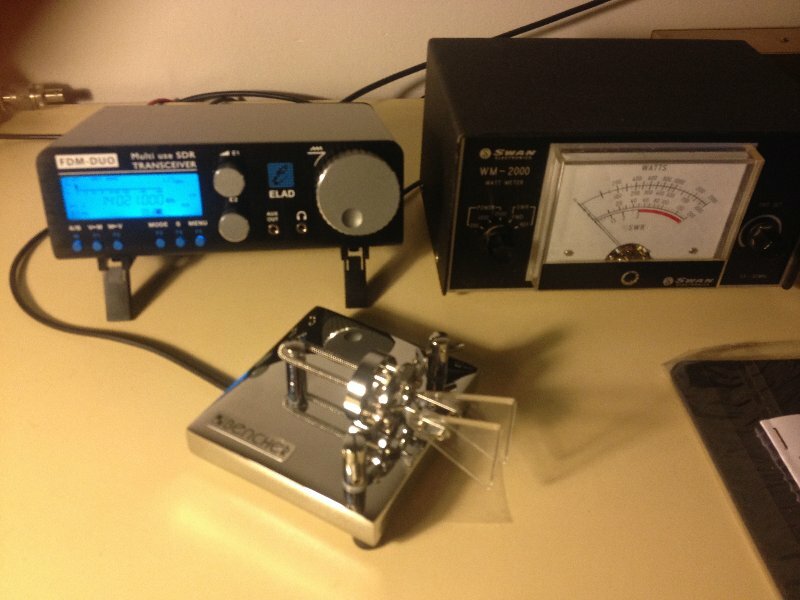 For now, I'll use some simple wire antennas so I can not promise you a very strong signal. I am currently on the island of Hvar and I'll stay here until about mid-July. If you are IOTA / IOCA hunter you can look for me mainly after 18 UTC (CW, 7 MHz for now, but soon I will set the antennas for 10, 14, 18 and possibly 21 MHz). 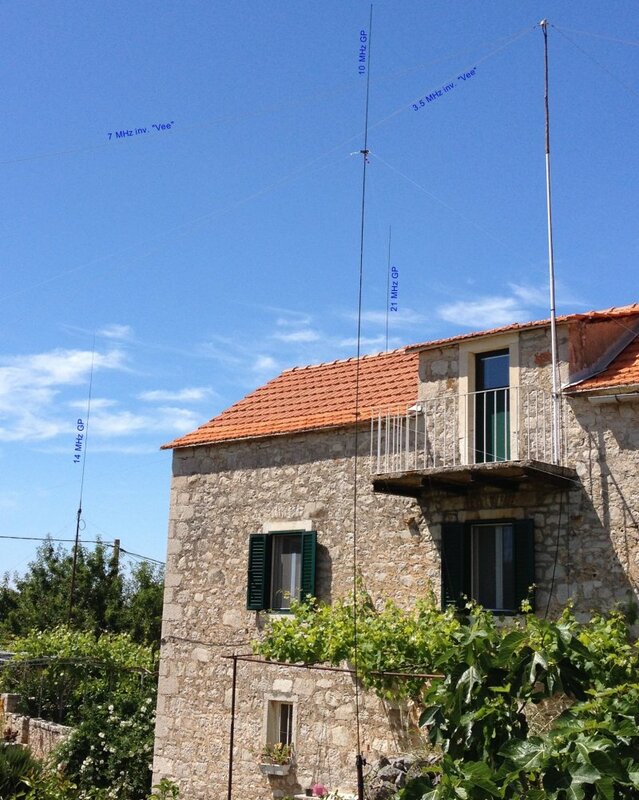 Today I finished my "antenna farm" on Hvar island: 1/2 wave inverted V for 3.5 and 7 MHz ("Fan Dipole"), 1/4 wave GP for 10 MHz, 1/4 wave GP for 14 MHz and 1/4 wave GP for 21 MHz. Unfortunately there is no room for more. In case of better propagation at higher frequencies I could set up a dipole for 18 or 24 MHz instead of 3.5 MHz dipole. My expedition to the island of Hvar is completed. It is possible that I will be active again from Hvar in late September or early October this year. Until then I'll be active from Zagreb, my primary QTH. For now, during my stay in Hvar between May 11 and July 25 of this year I logged 533 QSOs. Not very much but I'm sattisfied (also added 15 new countries for my DXCC). The first QSO from Hvar was OM Paul IK1QHB, May 11 at 19:09 UTC on 7026 KHz CW, and the last QSO was Norm, VK7AC, July 25 at 21:04 UTC on 7175 KHz SSB. Thanks to everyone who contacted me! BTW, the house was built in 1902 with no antennas at all, HI! Thanks for visiting this site and I hope to meet you on the bands in the very near future!